Super tasty easy recipe given to me by a close friend. the picture has avocados and green peppers I don’t like these so I stick to the basic ingredients above. Dice tomatoes, mix through tinned corn if you like corn and chop up a few leaves of Coriander. 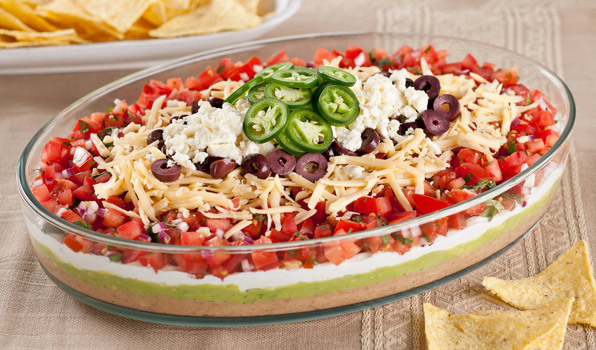 Place the Tomato corn and Coriander mix on top of your layered dip just before serving.